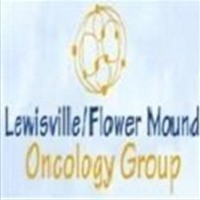 Lewisville, TX, June 21, 2018 – Breast cancer is one of the most prevalent cancers plaguing women. It also affects men and its effects can be quite widespread. About one in eight women are diagnosed with breast cancer in the US alone and the numbers keep growing in other parts of the world as well. This is why health practitioners keep pushing for breast cancer awareness, relevant tests, and self breast examination. Early diagnosis makes all the difference because it will have caused less damage and treatment is faster and more likely to be effective. Like many other cancers, it comes in several different types. “The different types of breast cancer areclassified according to the specific breast cells affected by the cancer. Several forms exist but there are those that are more common than others,” says Dr. Drinkard. • Invasive lobular carcinoma –It begins in the breast lobules (the glands that produce milk) and presents like a thickening of cells in the upper-outer breast quadrant. This type of breast cancer accounts for about 10 percent of all invasive breast cancer cases. Invasive or infiltrating breast cancers are those that have spread to surrounding breast tissue. It responds well to hormone therapy if it tests positive for estrogen and progesterone receptors. • Ductal carcinoma in situ (DCIS) – This is a pre-invasive or non-invasive form of breast cancer in the walls of milk ducts.This means that the cancer is still in its early stages and may or may not spread to other surrounding tissues. Owing to this fact, the survival rates are very high, standing at 98 percent on average. “Regardless of the type of breast cancer, patients should follow the doctor’s advice and instructions. Diagnosis is only the first step,” adds Dr. Drinkard.